Brilliant video, Thomas! I love the fact you included a demonstration with your SDRplay RSP1A as well. Via the spectrum display, it’s easy to see the the loop’s bandwidth and also the gain it provides when tuned to a station. I love your AM loop antenna as well–such a simple design and ideal for demonstrating the mechanics of a passive loop antenna since all of the components are visible. 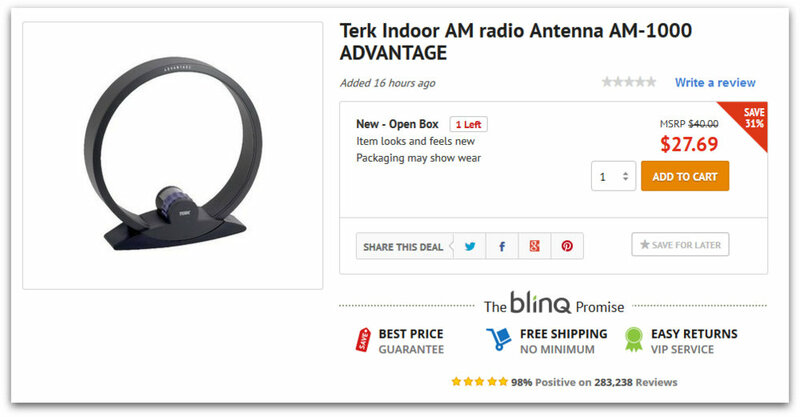 I’m willing to bet you built this antenna for less than $10. Smart design as it’s both portable and effective! Keep up the excellent work, Thomas! We look forward to all of your future videos. This entry was posted in AM, Antennas, How To, Mediumwave, News, Videos and tagged AM Passive Loop antenna, Homebrew Mag Loop Antenna, Loop Antennas, Mag Loop Antennas, Magnetic Loop Antennas, Tommy Cholakov (N1SPY) on April 26, 2018 by Thomas. That is, indeed, a brilliant and simple mod. The SRF-59 inductively couples to the loop antenna, so no soldering is needed; simply tape the belt clip to the loop, making sure the position is convenient for tuning the SRF-59 and the loop’s capacitor. 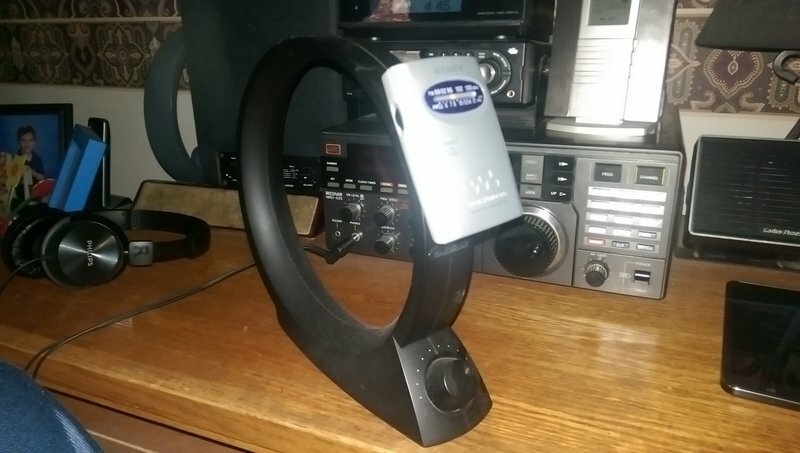 This entry was posted in Accessories, AM, Antennas, News, Radio Modifications and tagged AM Passive Loop antenna, Magnetic Loop Antennas, Sony, Sony SRF-59, Sony SRF-59 Mod, SRF-59, Ultralight DXing on October 27, 2015 by Thomas.